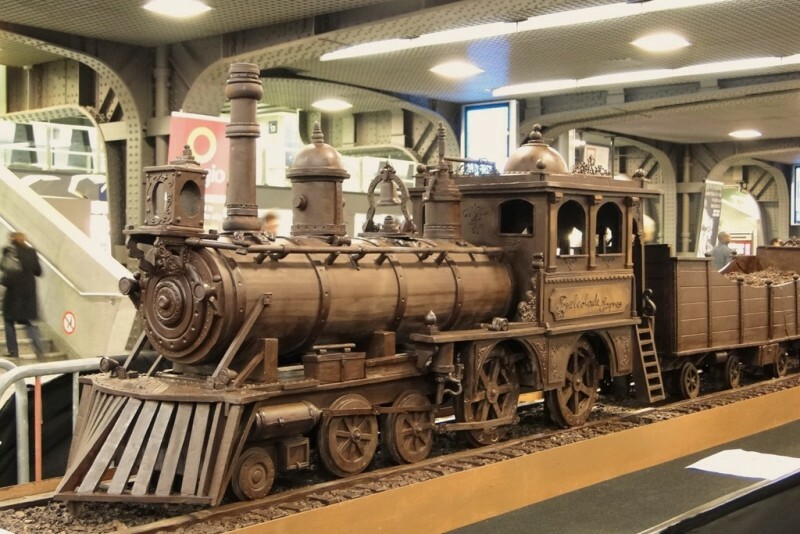 Maltese chocolate artist Andrew Farrugia spent over 700 hours constructing the masterpiece. 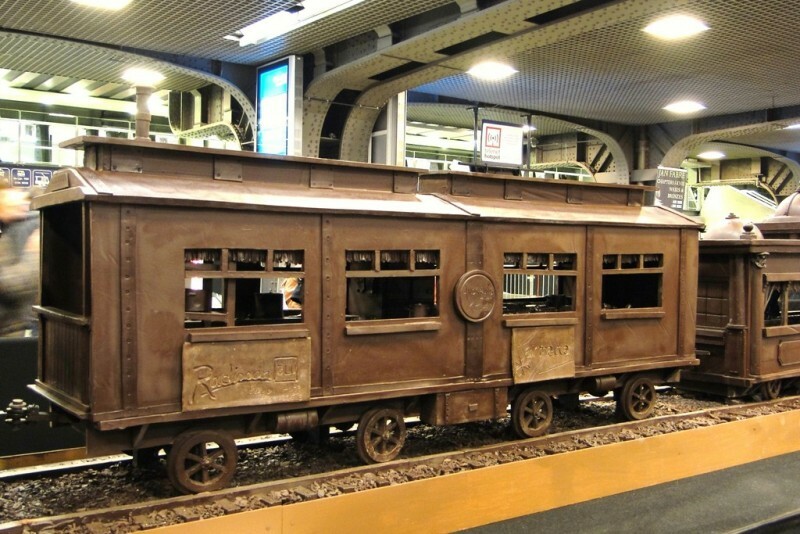 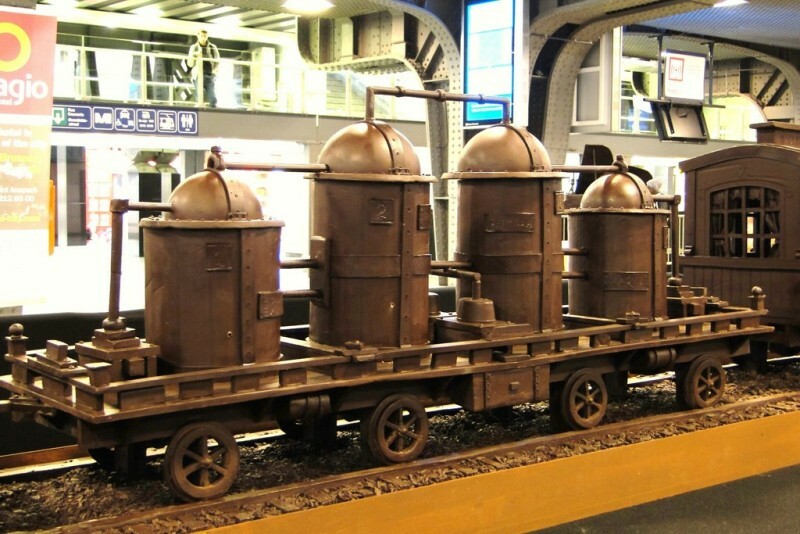 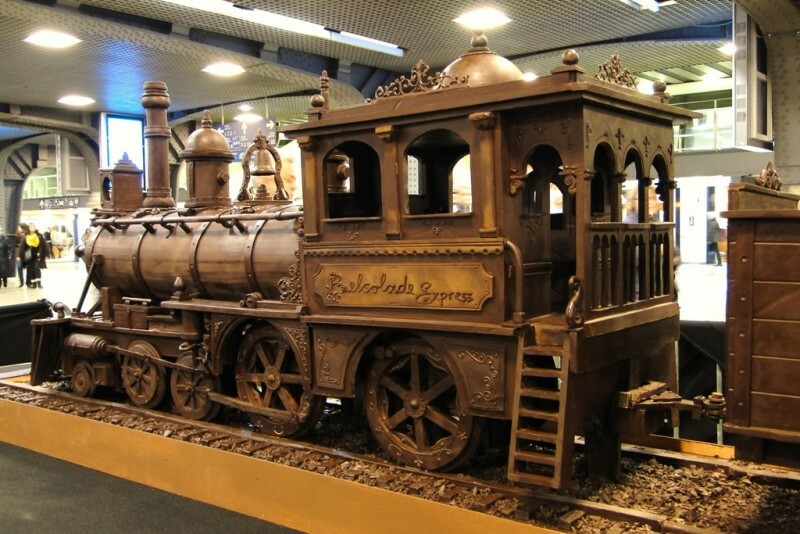 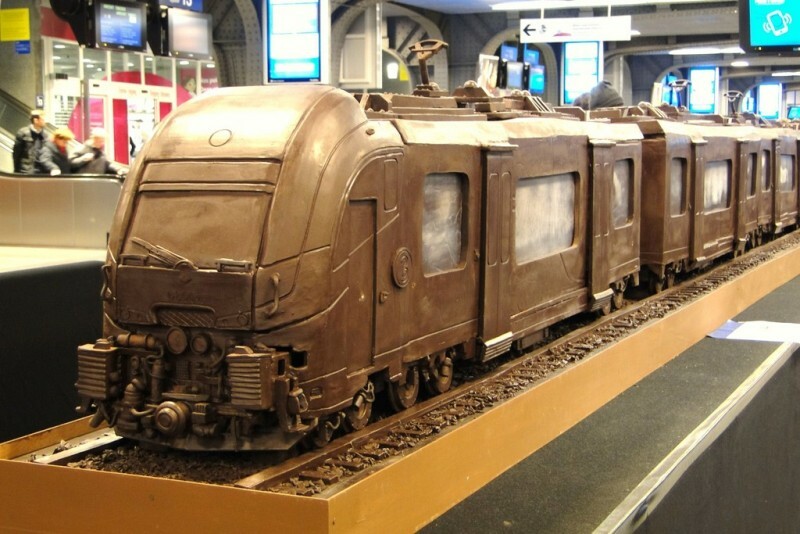 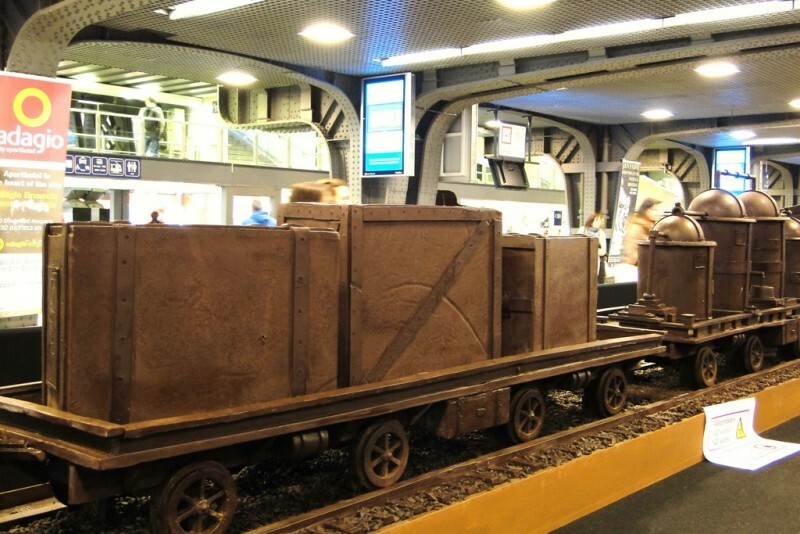 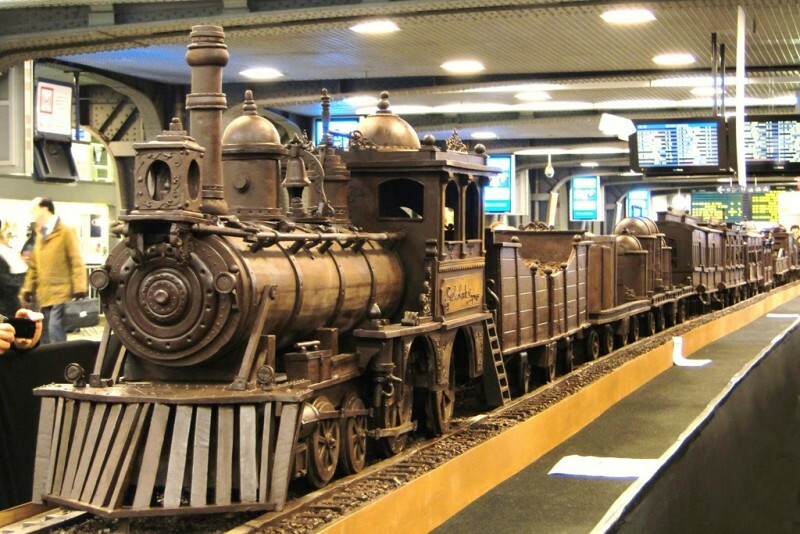 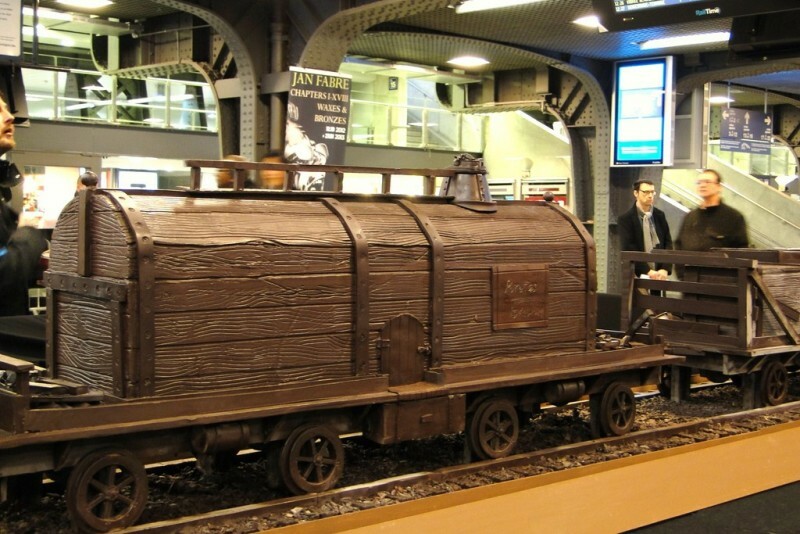 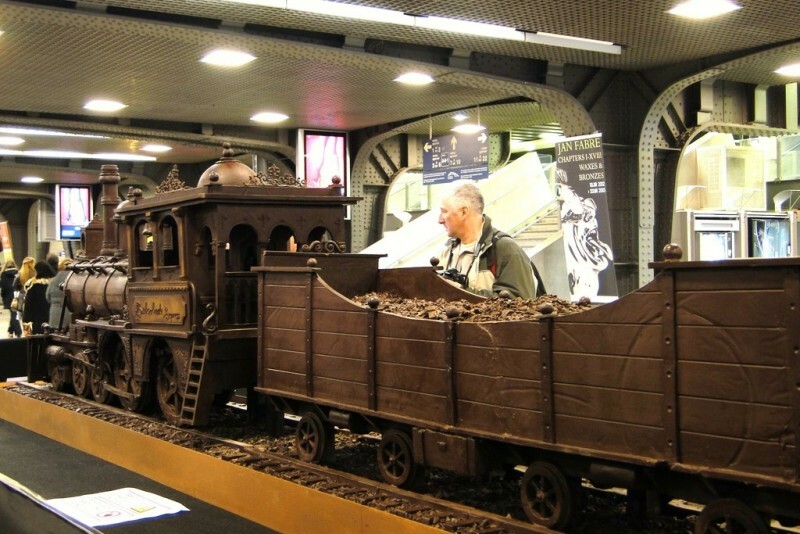 He said he came up with the idea of the train last year after visiting the Belgian Chocolate Festival in Bruge: "I had this idea for a while, and I said what do you think if we do this realisation of a long chocolate train, you know, because a train you can make it as long as you like." 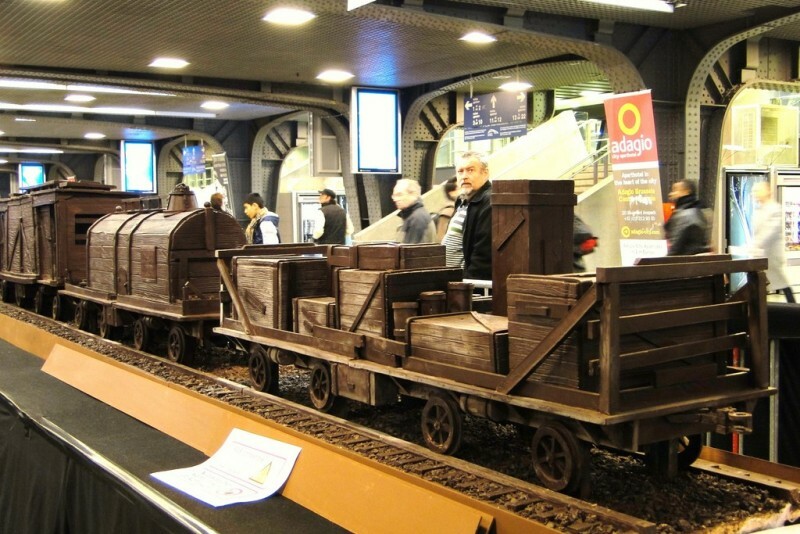 Farrugia had previously built a smaller train of 4m for an event in Malta, which he said gave him insight about how to build this much larger version. 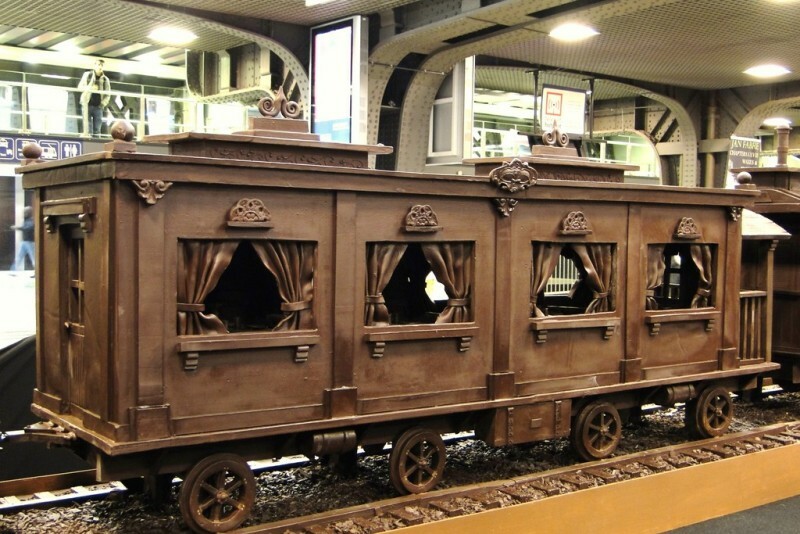 There are two parts to the train. 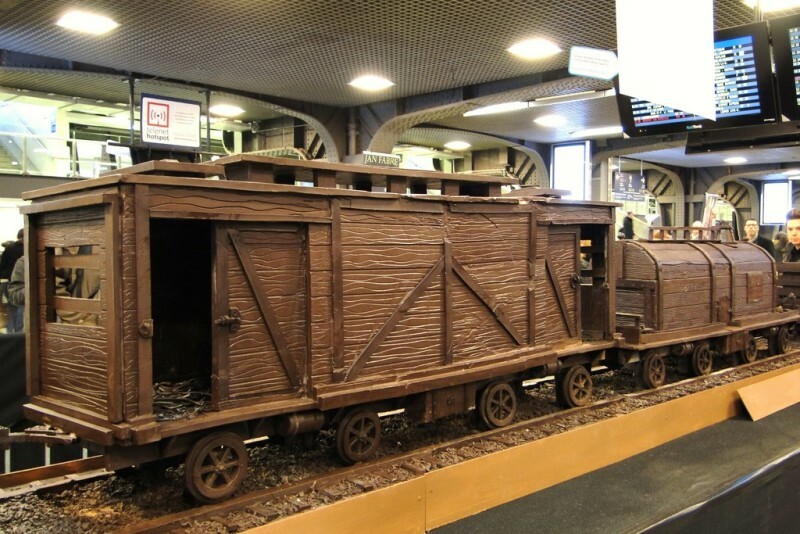 The first seven wagons are modelled after the new Belgian trains, and the rest of the train is modelled after the old train wagons, including a wagon with a bar and restaurant on board. 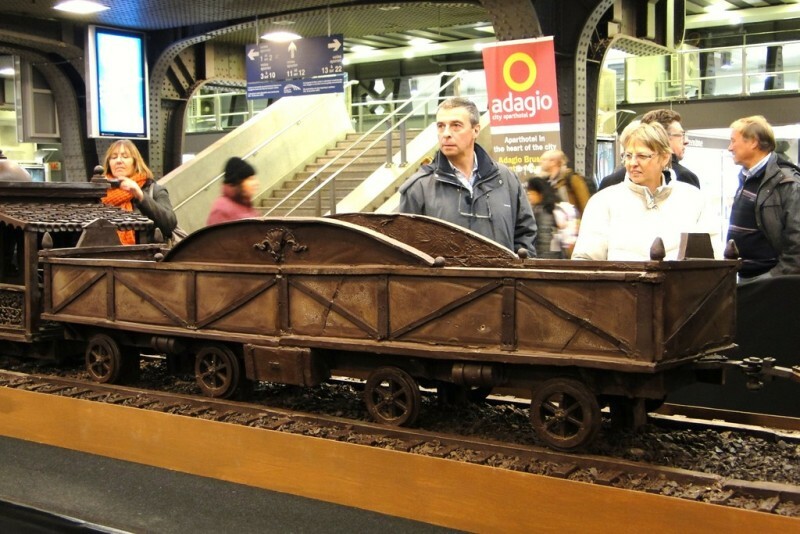 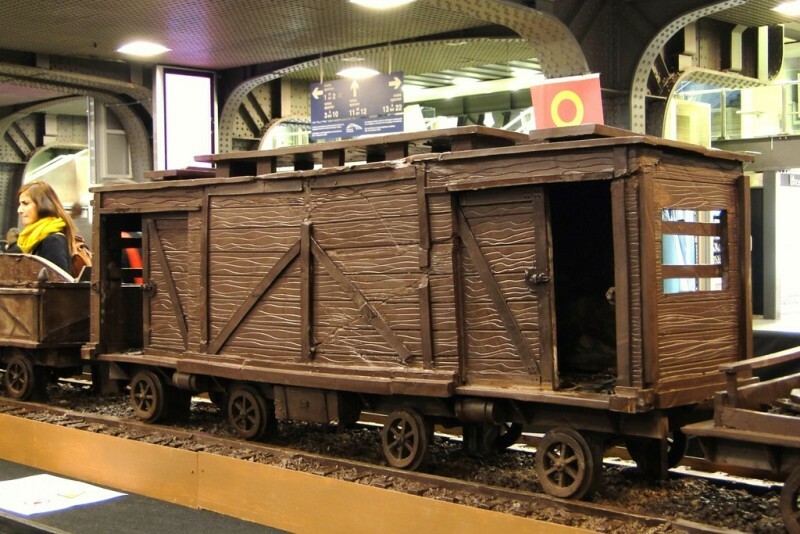 Three days before the event, Farrugia transported the chocolate train by truck in 25 wooden boxes from Malta to Belgium. 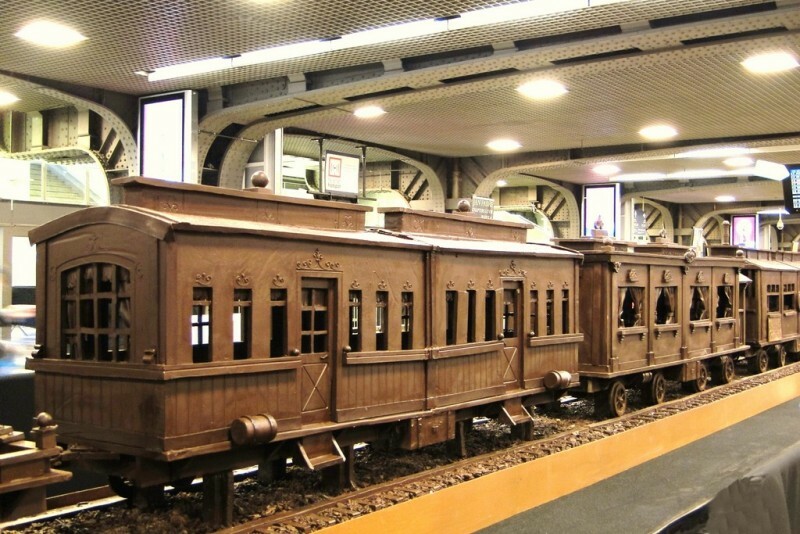 Farrugia said the train incurred considerable damage during the drive and several of the train's walls had completely collapsed. 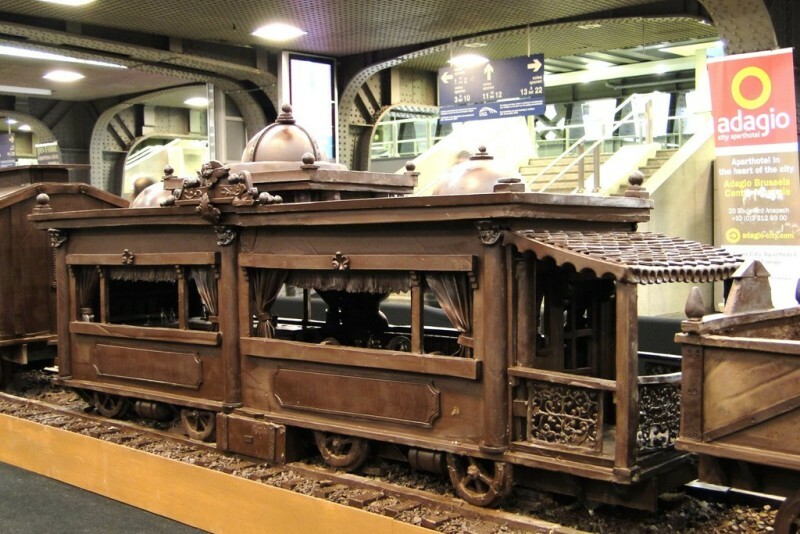 Luckily, with hard work and little sleep, the chocolate artist was able to fix all the damage before presenting the train to the public on Monday.